A conference organised in Athens by the European Parliament’s Socialists and Democrats (S&D) group on 4 March has driven a wedge between left-wing political parties in Greece. The Greek socialist party (Pasok) said it would boycott the gathering because leftist Prime Minister Alexis Tsipras is invited as a speaker. Tsipras’s ruling Syriza party is a member of the European Left, and not the S&D, which is closer to the centre. Pasok’s spokesperson called the conference a “private party,” saying S&D chief Udo Bullmann was an “outgoing leader”. The event is co-organised by the S&D, the Greek office of the Friedrich-Ebert-Stiftung, a German political foundation associated with the country’s Social Democratic Party (SPD), and the Institute for Research and Political Strategy, a think-tank. The meeting will discuss the ‘Sustainable Equality Report’, conducted by a group of independent experts led by former Greek Economy Minister Louka Katseli (Pasok) and Poul Nyrup Rasmussen, the former Prime Minister of Denmark and President of the Party of European Socialists (PES). Contacted by EURACTIV, Katseli said any attempt to stir domestic political controversies in Greece was incomprehensible. “A progressive convergence is necessary for the coming years ahead of the rise of populist powers across Europe. These convergences will be primarily seen at the social level, regardless of the will of the political parties,” she added. The report contains 100 concrete proposals about the future of Europe and organisers hope it will form the basis for dialogue and convergence of progressive political forces in the European Parliament after the EU elections. “The report paves the way towards a new progressive Europe that we need so desperately,” Bullmann told EURACTIV.com. “The Greek people know this better than anyone else. Even if the financial crisis is over, it has left many casualties and the new economic growth is not felt by many citizens,” he added. Pasok is the S&D’s official sister party in Greece. The party has seen its support collapse since agreeing the country’s first bailout in 2010. Tsipras’ Syriza belongs to the European Left but all EU socialist leaders publicly backed it during the economic and migration crises, putting Pasok in a difficult position. EU socialists also supported Tsipras on the recent North Macedonia name change deal, which was opposed by Pasok. Syriza said it does not intend to join the EU socialist family. 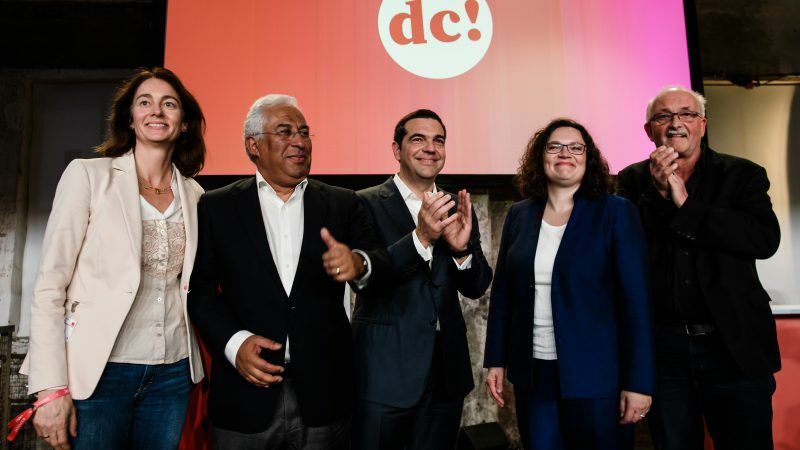 Instead, it aims to fight rising nationalism across Europe by creating a its own alliance ahead of the EU elections among socialist, green and leftist parties. 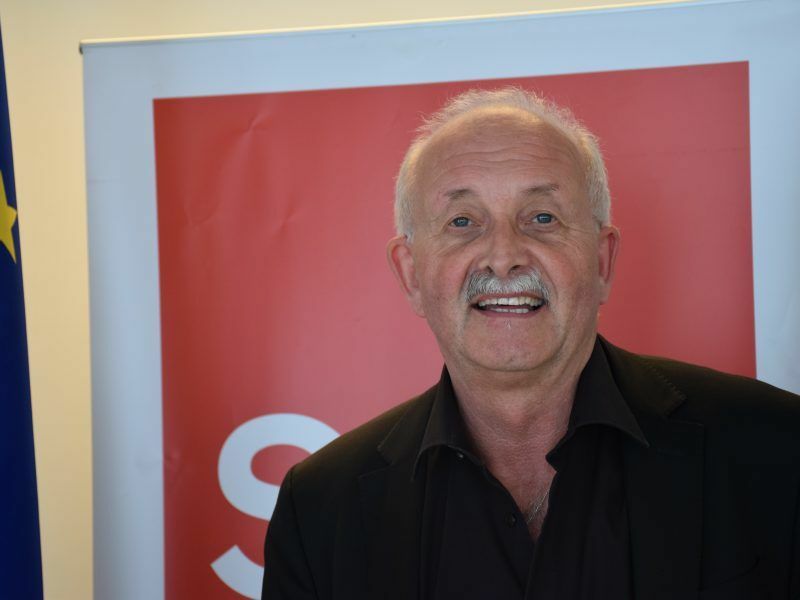 S&D President Udo Bullmann called on progressive political forces in Greece to join forces as the “only way to the country’s future” and not turn to a conservative New Democracy government, which has a big responsibility for the crisis. Greek socialists fear that Syriza is trying to attract their remaining voters and extinguish them from the Greek political scene ahead of national elections in November. In the last two government reshuffles, a number of former Pasok members have been appointed to the Syriza government. In addition, more than 100 active Pasok members have left the party in the last two months. Among them are the activists of the Party of European Socialists (PES), who openly accused Pasok of getting closer to conservative New Democracy (European People’s Party). Bullman called on all progressive political parties to join forces ahead of the May European elections. “We invite everyone who shares our vision for this progressive Europe to join us in this fight. We hope that especially our friends from Pasok, together with other progressive forces, accept our invitation to the event in Athens and support us in our endeavour,” Bullmann said. “We are convinced that in these challenging times we have to focus on what unites us, rather than on what divides us. This is about our common European future, and we need every progressive voice and every progressive hand to ensure that it is a bright future,” the German social democrat added. However, the progressive political forces do not have a common candidate for the EU elections in May. Post-election collaboration in the European Parliament is not ruled out, but the European Left and the Greens have picked their own candidates while on 23 February, EU socialists officially nominated Frans Timmermans as their Spitzenkandidat at a congress in Madrid. Pasok have dismissed the March conference event as a “private party” organised by Tsipras. “Tsipras simply organises private parties and invites the same guests, for communication purposes without substantial results. For us, it’s clear that social democrat views were expressed in what was discussed in Madrid about the nomination of Frans Timmermans and the manifesto containing the specific proposals,” Pasok spokesman Pavlos Christidis told EURACTIV Greece. “Bullmann’s event does not serve these goals. Will the participants support Timmermans who is the socialist candidate? The answer is no,” Christidis added. “Alexis Tsipras should better to put on a suit that does not exist,” the Pasok official said.